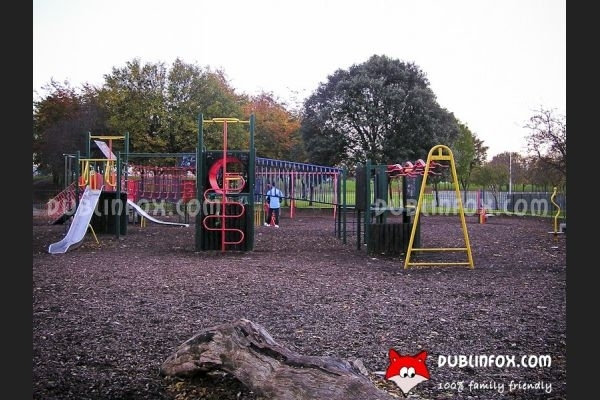 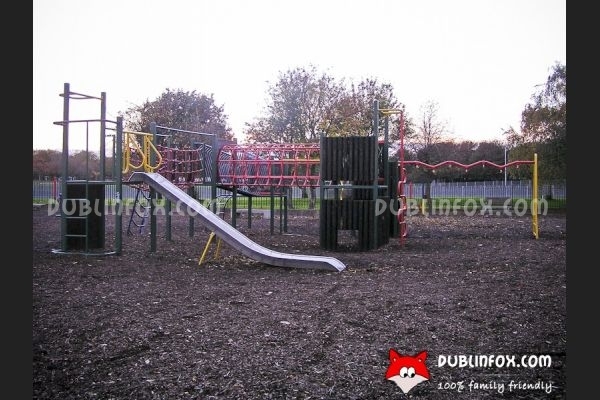 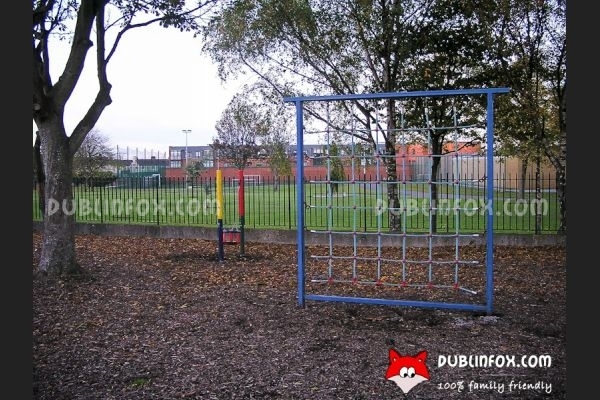 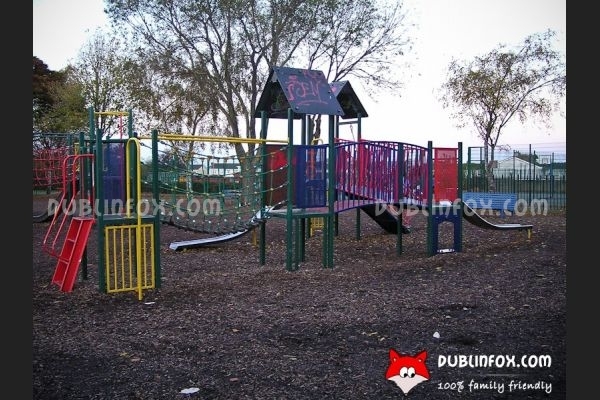 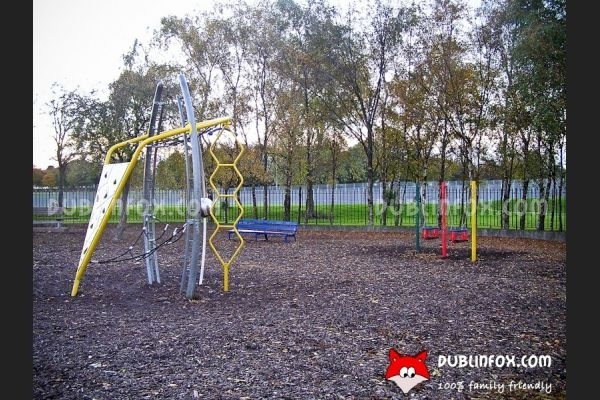 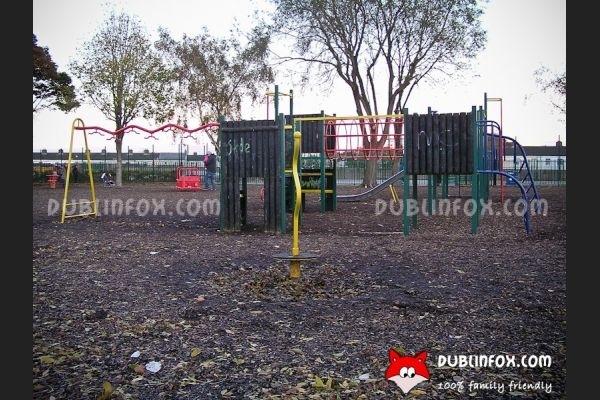 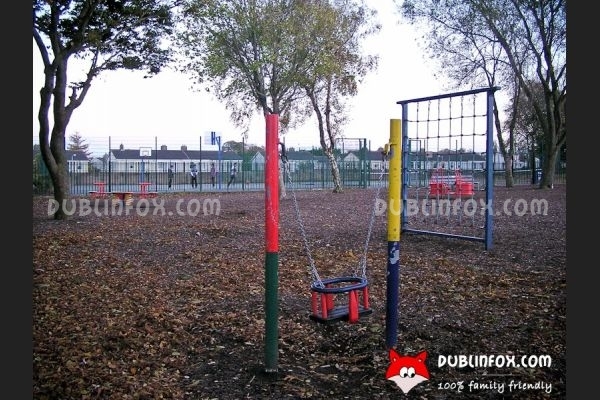 Eamonn Ceannt Park playground is similar to the one located in Bushy Park. 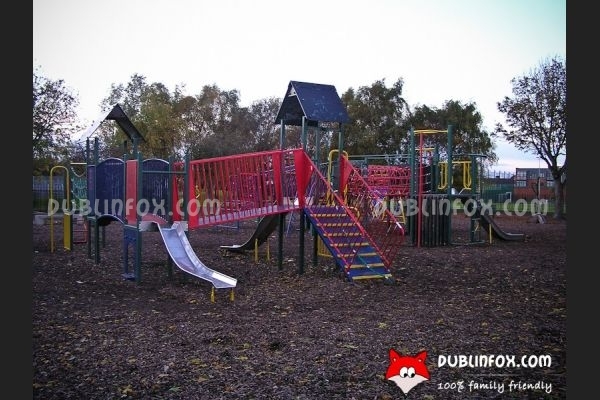 After rainy days it might be muddy and mucky due to its surface, but it is a really lovable place. 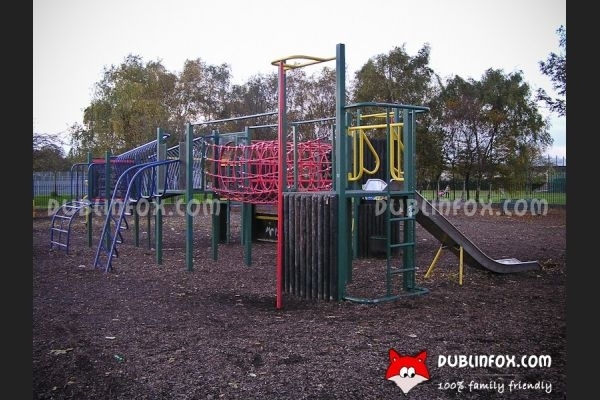 Its play equipment is suitable from the youngest babies to 10 or 12-year-olds. 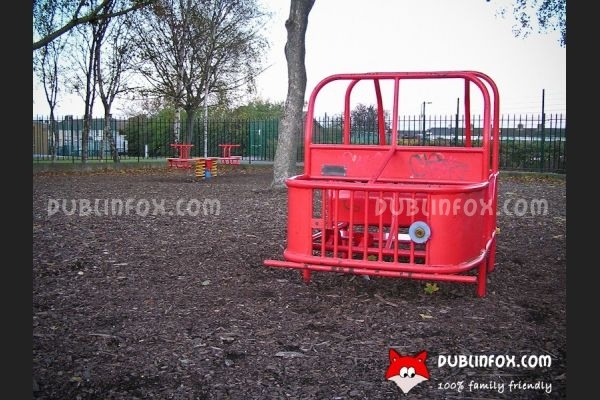 For toddlers there are several (brand new) baby swings scattered in the playground, not to mention the springers, the spinners, the see-saw, the smaller multi play unit and the weary red car that is perfect for young drivers. 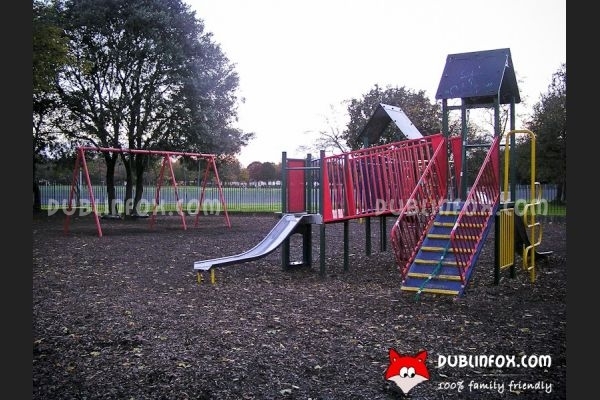 Older kids will love the different climbing structures and the bigger multi play unit - yes, you are right, the playground offers more for younger children, than for older kids. 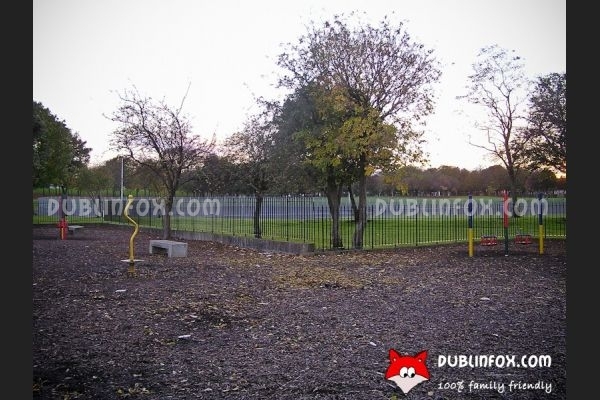 Click here to open Eamonn Ceannt Park's website in a new window.